I was recently Interviewed for the August edition , you can here my 30 minute rant on the link and see a slide show of my work . 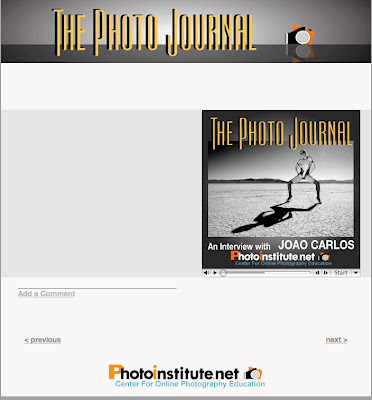 The Photo Journal is a series of interviews and discussions on Photography. 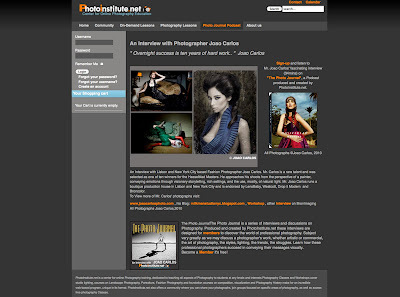 Produced and created by PhotoInstitute.net these interviews are designed for members to discover the world of professional photography. Subject vary greatly as we may discuss a photographer’s work, whether artistic or commercial, the art of photography, the styles, lighting, the trends, the struggles. Learn how these professional photographers succeed in conveying their messages visually..